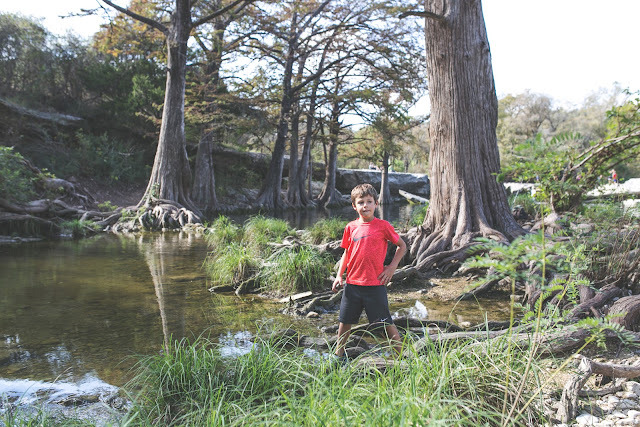 His Building Blocks: A love for hiking! In continuing with this month's theme of being "thankful", I would be totally wrong if I left out "hiking" from the list. Hiking is something I have always enjoyed. 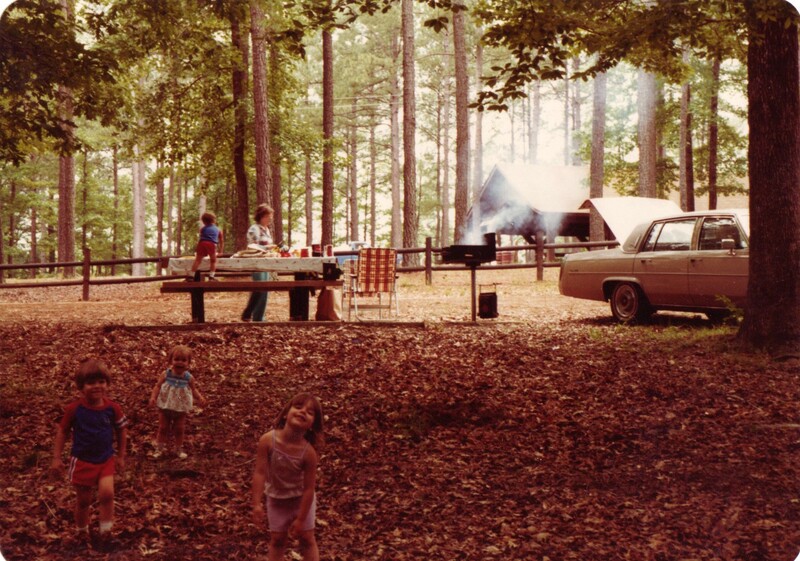 My favorite family vacations growing up were the ones where we got to explore the great outdoors together. 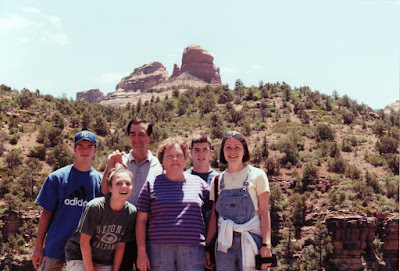 Me and my family on a family vacation to Sedona, Arizona and the Grand Canyon. 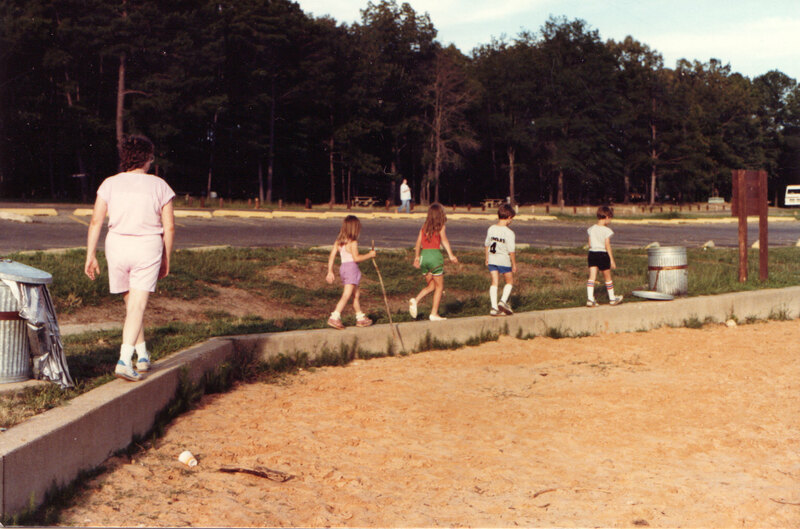 Exploring a park near the lake as a family. Grilling at a park. 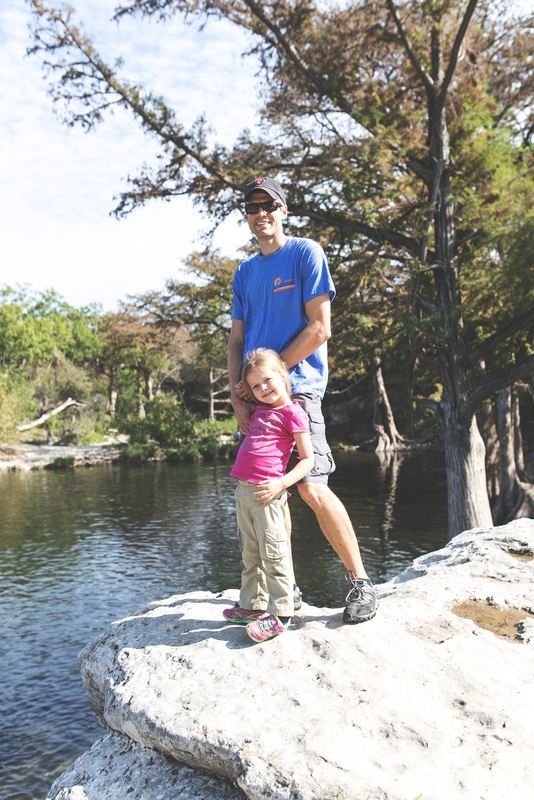 We loved visiting the lake and parks on the weekends, exploring the area as a family. 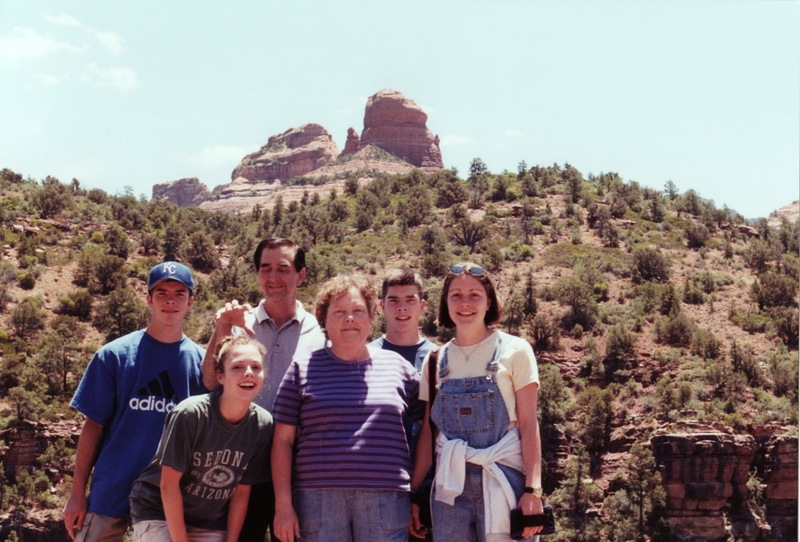 I absolutely loved our family vacation where we traveled up from Kansas all the way up through South Dakota, Montana and Wyoming, camping all along the way. What awesome memories we made! 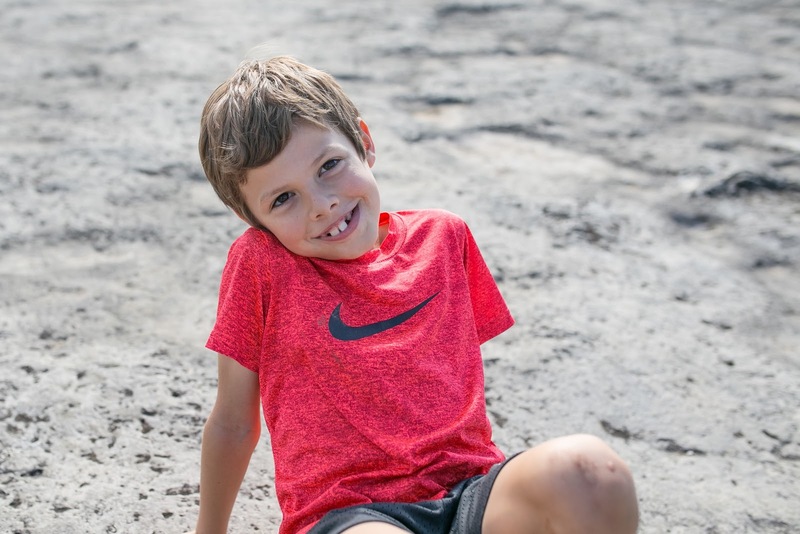 We camped in Yellowstone National Park and several other awesome parks in our pop-up camper--six of us (four kids) in a little pop up camper. And I bet you that vacation is not only on my list as one of my most favorite vacations ever, but I bet it's up there on my siblings' lists as well. We fished in freshwater streams in South Dakota, explored Yellowstone, saw the famous geysers, the Grand Tetons and so much more. It was epic. Everywhere I travel to, I have a great urge to see what outdoor areas are there to hike and explore. 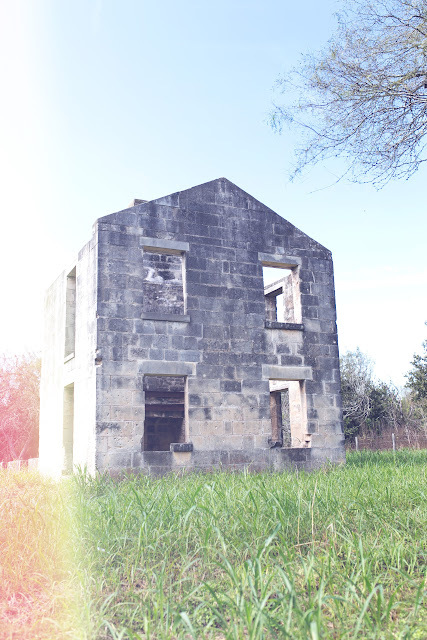 In fact, most of the places I desire to travel to most are the ones with great places to "play" and explore outdoors. And this is a great love that I hope my kids also will always share. I am thinking that if it is such a big part of our lives as they grow up, they will surely have to love it as well, right? I really hope they do, because I believe it is not only a fun part of our life together as a family, but is also an important one. I'm not the only one who feels that way. 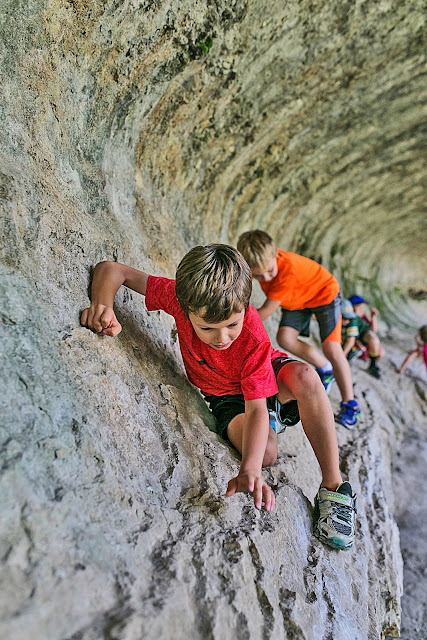 Jeff Alt, author of "Get Your Kids Hiking" feels the same. In his book, Alt says scientific studies have shown that hiking releases certain body chemicals, such as serotonin and adrenaline, that result in more positive thinking. 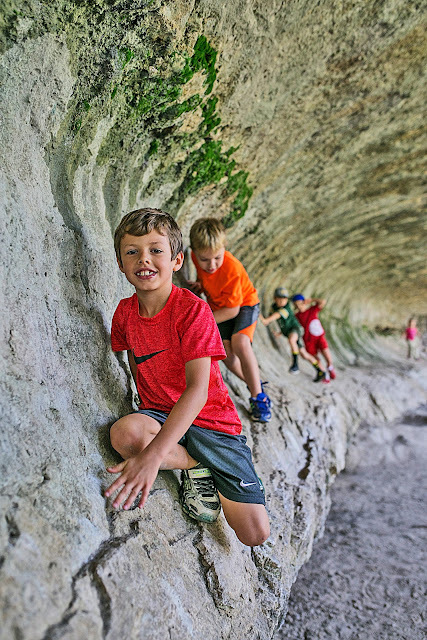 He believes parents should begin taking their kids on hikes as infants. Early on, of course, being strapped to the parents' chest, and later after they are a bit bigger, in a backpack carrier. 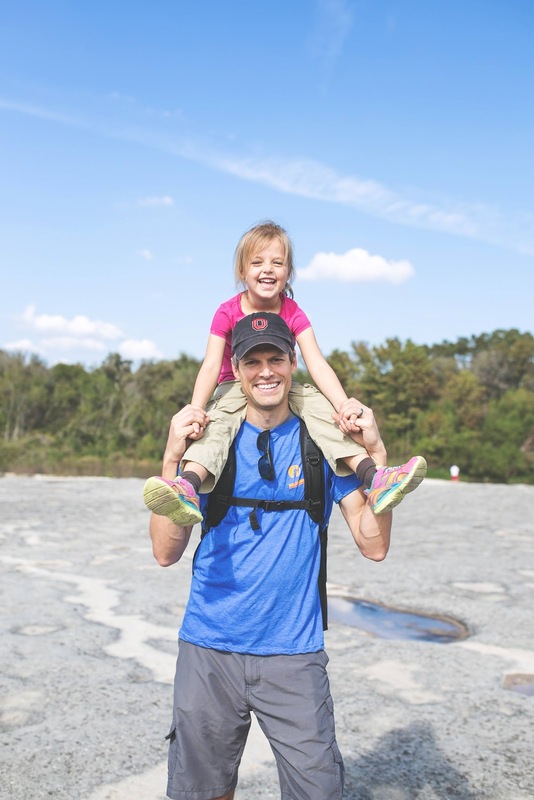 He believes (and I agree) that there is so much parents can teach their children through hiking. As soon as the child can say, "look daddy, a bird, " it's time to switch to child directed hiking, in which you allow them to use all their senses to engage with nature on their own. He recommends taking along a magnifying glass and let them look at leaves and other fun things up close. Bring a bug catcher. Tip over rocks and see which creatures linger underneath. 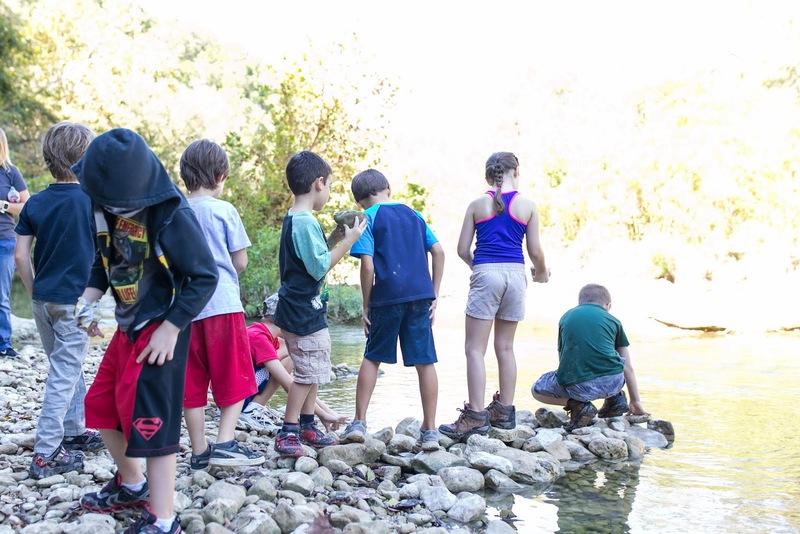 The goal is to expose the kids to the outdoors and make it a routine so they don't second guess it when they get older. -- Let the child lead within reason. 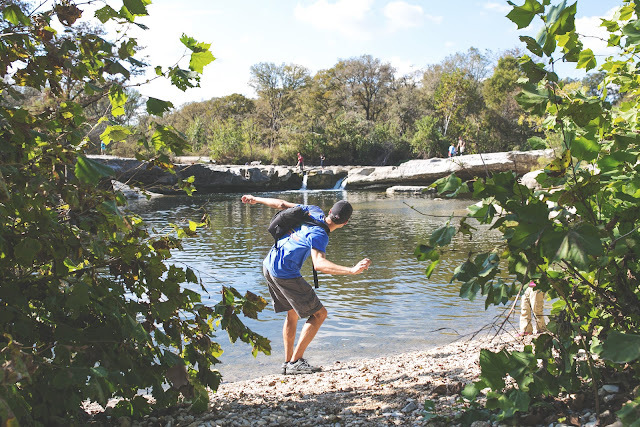 Be mindful of dangerous areas such as cliffs, fast moving rivers, etc. Some of the boys that led the way in our September homeschooling group hike. -- When your child takes interest in an animal or rock, stop and explore with him or her. 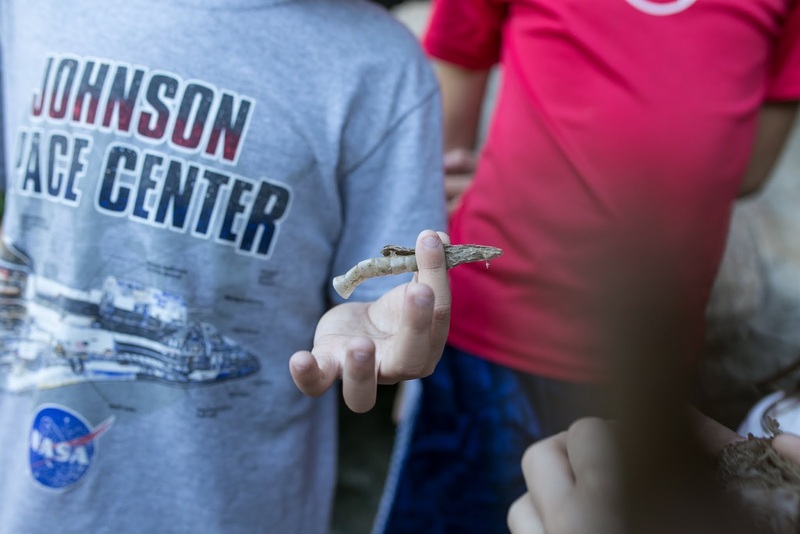 -- Bring items that kids can use to interact with nature such as a magnifying glass, binoculars, plant and bird identification guides, a camera and a bug catcher. 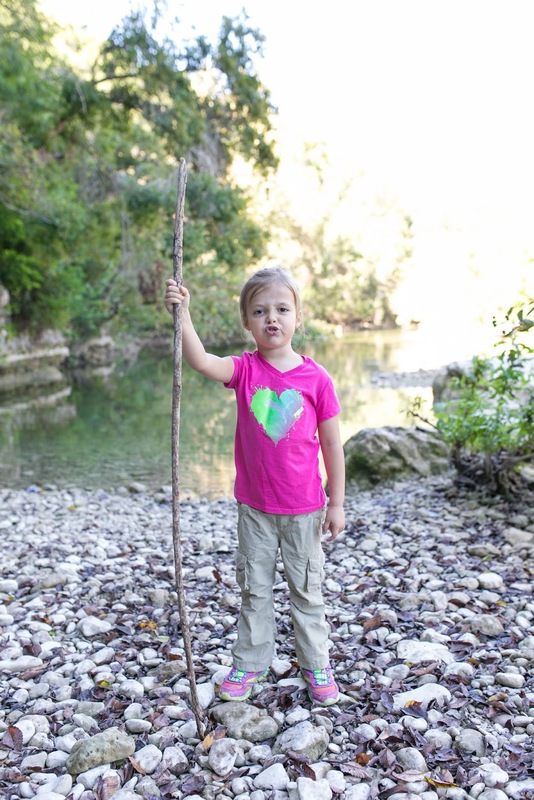 - Let your little adventurer pack a few items of his own; even if it's not hiking related. This will give him a sense of ownership. -- Let your older child bring along a friend. We absolutely love family hikes, but those usually can only happen on the weekends, since Drew works Monday-Friday. 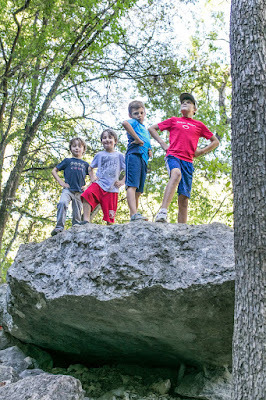 But, we homeschool, which gives me and the kids a ton of time during the week to hike and explore together. And we do. We have a really fun time exploring together. When we go together, we have a good time geocaching and doing many of these things on the list above. 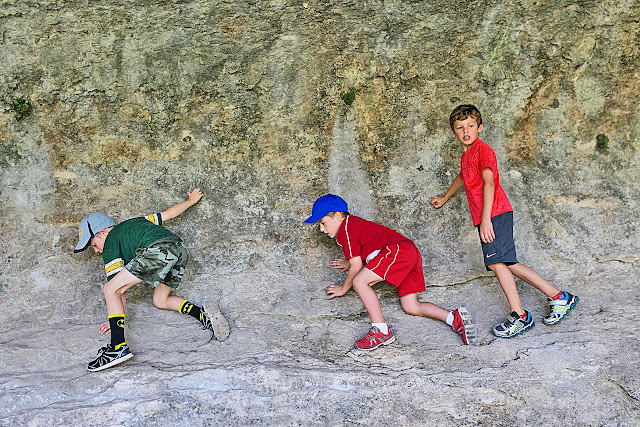 But, there is a different and fun dynamic when we hike with friends. 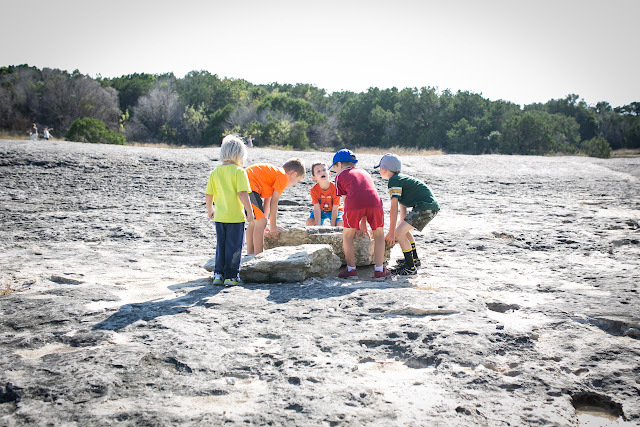 It is a lot of fun to hike with friends and watch the kids collaborate on their exploration. 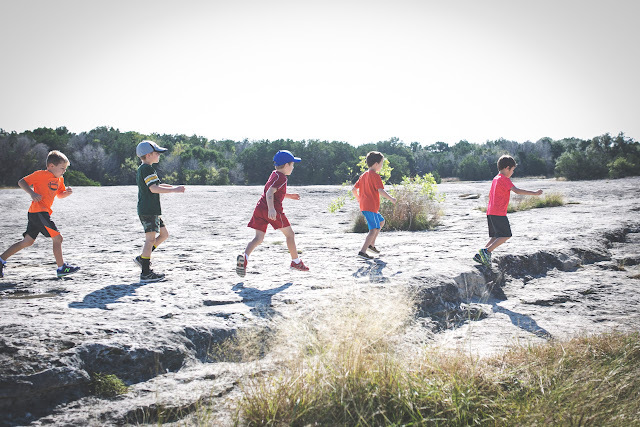 So, in August I started a hiking group for Austin area homeschoolers. I schedule group hikes at various places all over Austin that are full of many learning opportunities. 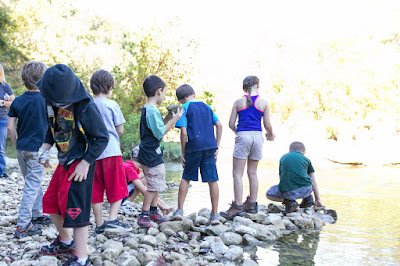 Working as a group to build a dam to an island in the middle of the creek. Teamwork! 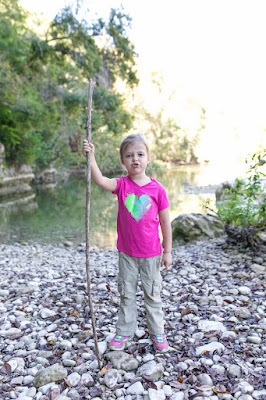 The kids love to find big sticks on our hikes. Abbey was pretending she was a gatekeeper and would not let me pass without the secret password. I scheduled our most recent homeschooling group hike on a Saturday, so that families could attend. We called it our "Fall Family Hike". It was fun to meet all the dads of these kids we hike with regularly. 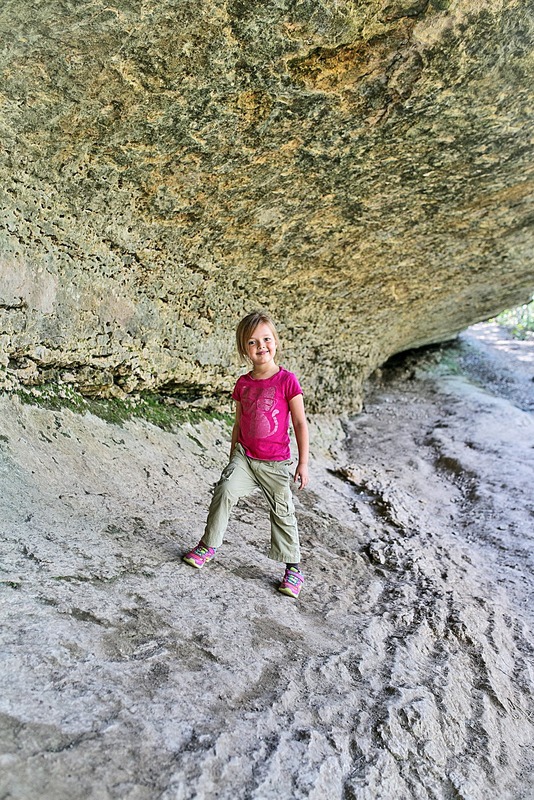 It was a gorgeous day for a hike at McKinney Falls State Park, in Austin. Here are some pictures from our fun Fall family Hike. Trying to lift a rock...nope, too heavy. After the group left, we stayed at the park and explored a different area and a couple of other trails. 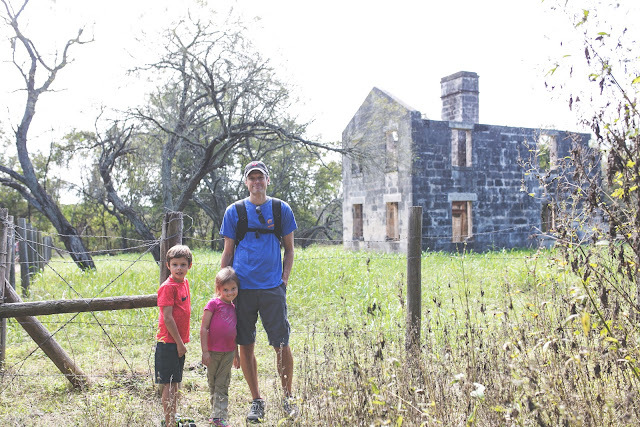 We hiked to this 200 year old homestead that was on the property. After a long day, when those little legs get tired, sometimes a ride on daddy's shoulders is warranted. Abbey is daddy's hiking buddy. Drew is the master rock skipper. 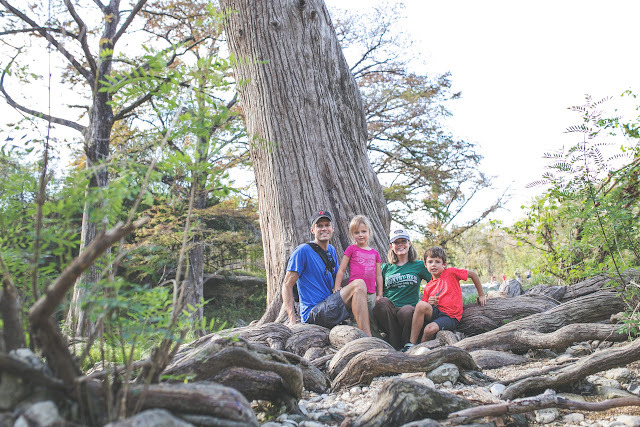 We loved this tree. So, we just had to set the camera down for a self timer family photo. Today, I am thankful for hiking!! !